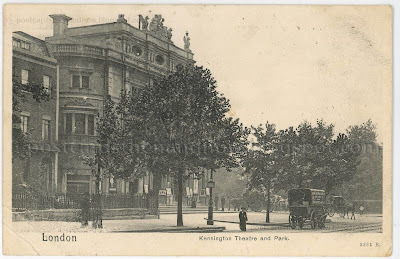 Kennington, South London, The Theatre c1904. Kennington Theatre was opened in December 1898. It was demolished in 1950 and flats were built on the site. 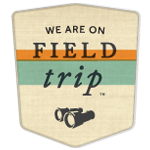 Click the postcard to enlarge. Makes me wonder if we've just lost our collective sense of aesthetics. The comparison here is shocking! Do you know if the demolition was as a result of damage in the war? According to the arthurlloyd.co.uk website, it ceased to be a theatre in 1934. Plans to turn it into an Odeon cinema didn't work out. It was damaged by bombing in the war and partially demolished in 1943. Purchased by the council in 1949 and flats were built on the site in 1950. The theatre looked so much better than block of flats!!! This is one of your more extreme before and after contrasts. Theaters have very limited recycling value, and though they were built fireproof, their furnishings backstage and front get a lot of abuse. And when new theater technology like electic lighting and cinema sound came in, the old music halls were expensive and difficult to refit. So it's no wonder it wasn't saved in the 30's and 50's as Historic Preservation is a more recent concept. But I would have loved to see a Panto in the Kennington Theatre.